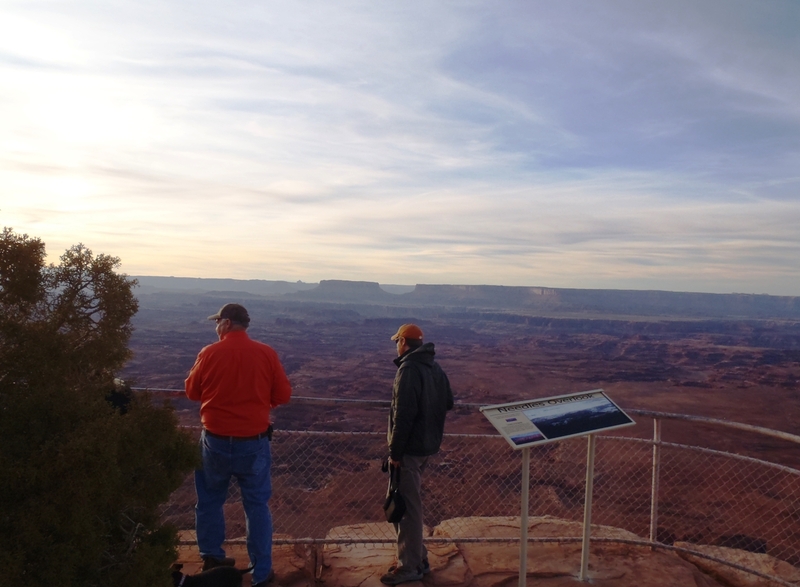 When I started working at the Welcome Center in Monticello, it quickly became very apparent that people are often confused about the Needles District of Canyonlands National Park, and the Needles Overlook. People would often talk about them interchangeably as if they were both a part of Canyonlands National Park, but the Needles Overlook is actually an area that’s located outside the park and is a part of the Canyon Rims Special Recreation Management Area, which is managed by the Bureau of Land Management (BLM). The Needles Overlook is located about 22 miles off of Hwy 191 on co. rd 133, so it’s a great side trip if you’re traveling between Monticello and Moab on Hwy 191. 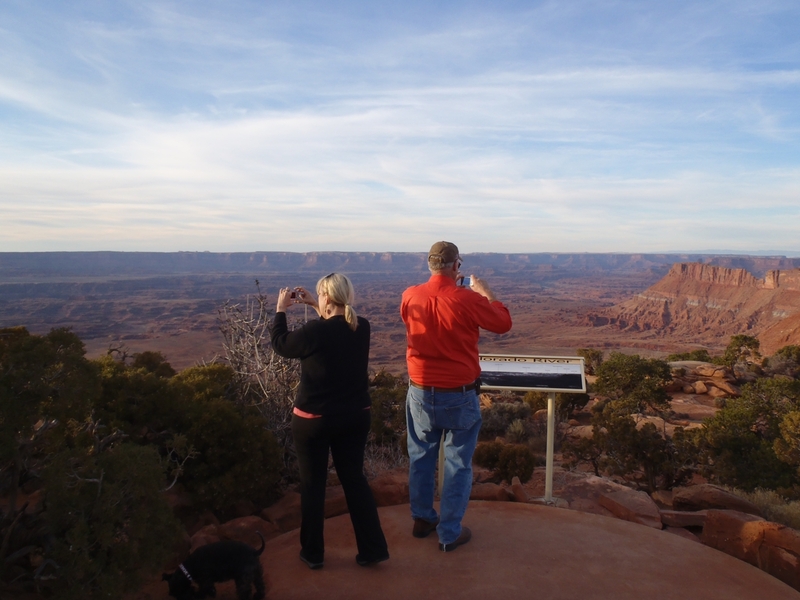 When we have friends or family visiting, my husband and I often take them there around sunset if we’re on our way home from Arches, the Island in the Sky District of Canyonlands, Dead Horse Point State Park, or somewhere else up north- it seems like we end up driving out there about every 6 months or so. My dad was just visiting last week and we took him out there, but before that, the last time we went was when my mom and stepdad were visiting last November. Everyone we’ve ever taken out there has been completely blown away by the view! When you’re standing at the overlook you can see quite a few roads down below. 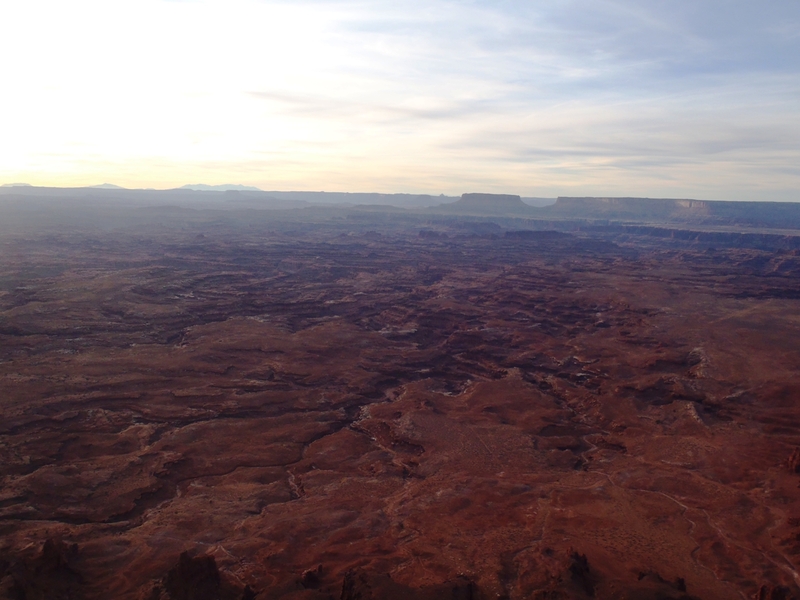 The main road that runs through that area is the Lockhart Basin Road, it roughly parallels Hwy 191 from Hwy 211 near the entrance to the Needles District of Canyonlands to the Kane Springs Road which ends in Moab. This is a popular road, but requires high clearance. 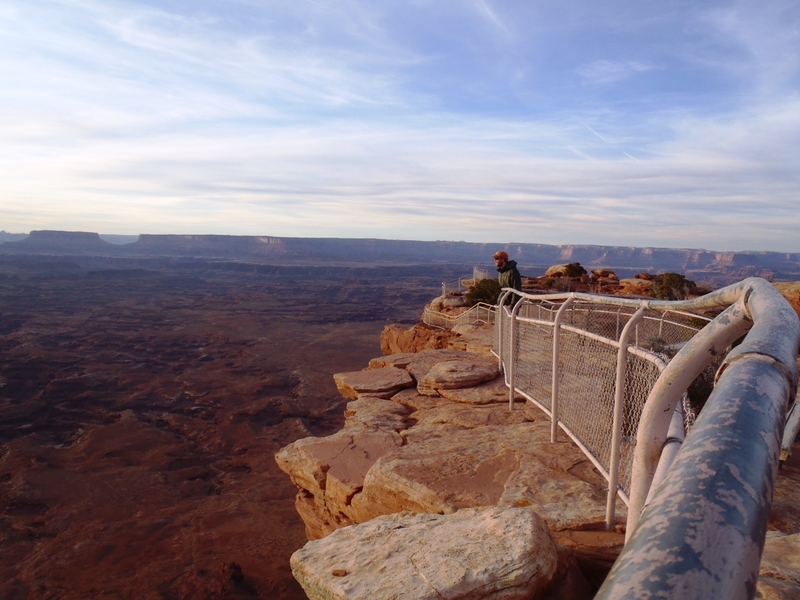 The Needles Overlook is not just one scenic overlook, there’s actually a railing that runs along the whole point that you’re standing on. Starting from the parking area, you get views to the north, west, and then south toward the Abajos. 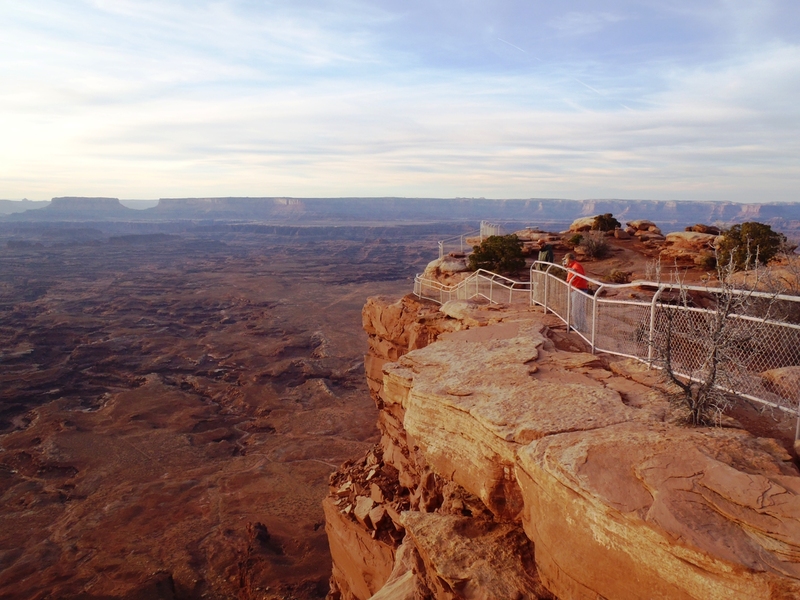 We always spend at least an hour walking along the edge taking in the views out over the canyons- it’s something that you just never get tired of looking at! 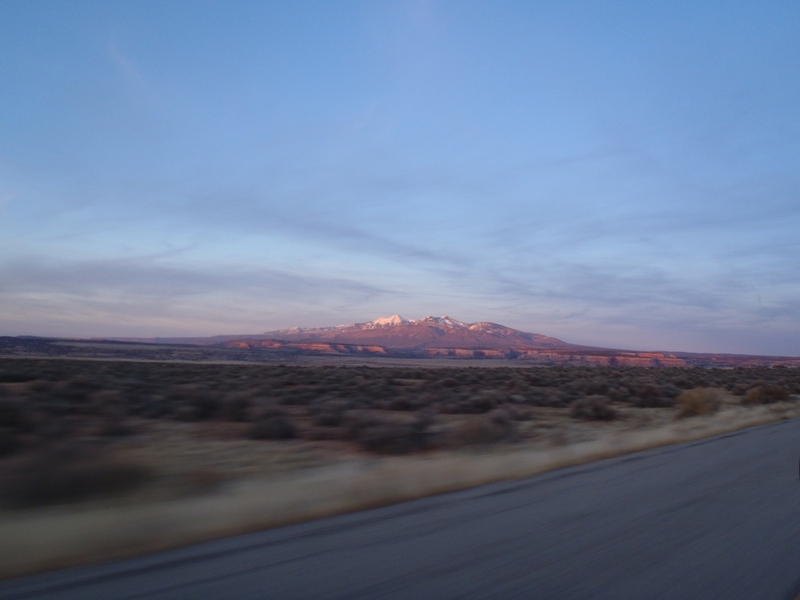 Since we always go at sunset, the drive back to Hwy 191 is always beautiful too- even after the sun has set over the horizon, the La Sal Mountains are still lit up glowing with pinks and purples. Most of the pictures in this entry were taken during my mom and stepdad’s visit in November. It was especially clear that day, but I’ve found that no matter what the weather is like when you visit, the view is always amazing! From Monticello: Drive approximately 21 miles north of Monticello and turn west on Co. Rd 133/Needles Overlook Rd. Stay on that road for approximately 22 miles until you reach the parking area. 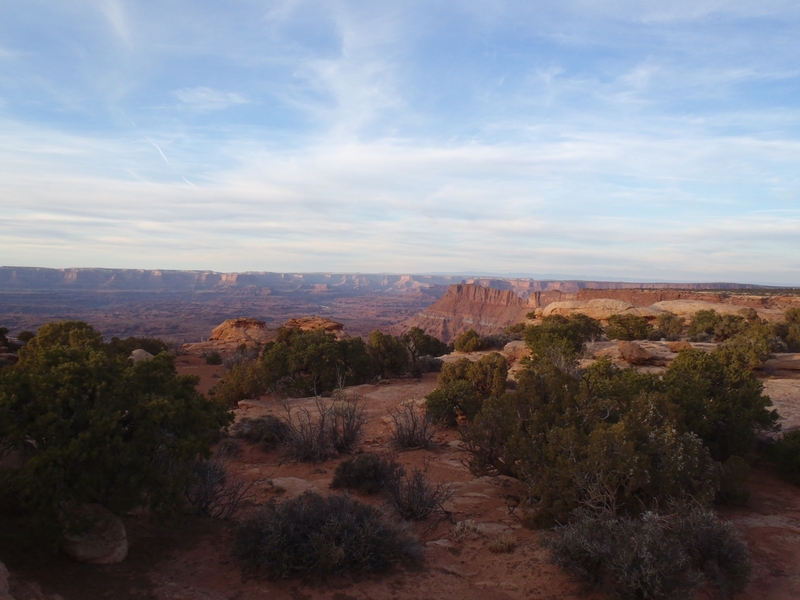 From Moab: Drive approximately 32 miles south of Moab and turn west on Co. Rd 133/Needles Overlook Rd. Stay on that road for approximately 22 miles until you reach the parking area. 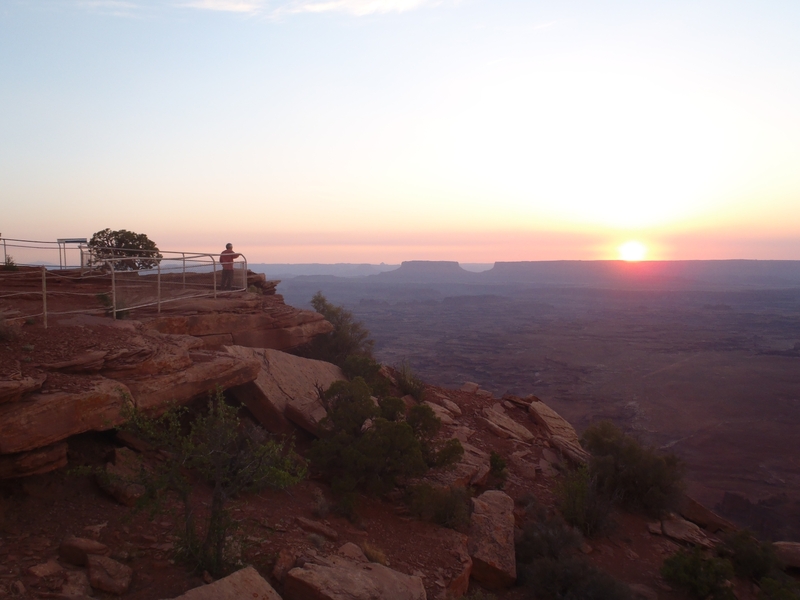 This entry was posted in Off the Beaten Path, Scenic Drives, Things to do for FREE!, Travel, Utah and tagged Needles Overlook, Off the Beaten Path, Scenic Drives, Things to do for FREE!, Travel, Utah. Bookmark the permalink. The view looks spectacular! Yet another place I want to go see. =) Nice photos and information. How high is the overlook from the floor below? Chris- Thanks for your question! I believe the Needles Overlook is at about 6,000 ft, and roads down below are at about 5,000 ft. Thanks, you cleared up a big question I had regarding our trip out to your area. My only question is County Road 133 paved? Thanks for your comment- I’m glad you’ve found our blog useful! Yes, Co. Rd 133 is paved all the way out to Needles Overlook. Please let us know if there’s anything else we can help you with! Thankyou a lot for this very useful blog, spectacular photos! Could you tell me how does it take to drive along rd. 133 to Needles Overloock, please? Thank you for your comment- I’m glad you’ve found my blog useful! It’s about 22 miles from the junction of Hwy 191/133 to Needles Overlook, so it’s about a 30 minute drive. Thanks! I was there July 2015.